Max Tegmark's latest book is up there on my need-to-read list, and for good reason. He's the MIT cosmologist whose writing and thinking are front and center in the conversation about the multiverse. He's a pleasant, thoughtful fellow, with a playful mind that seeks and explores. He's also more than willing to take wild and speculative swings at things, which I can totally appreciate. As he's made the rounds pitching his book on the fundamentally mathematical character of being, he's made some interesting statements, ones that seem less about physics, and more philosophical/theological. Like, for instance, his musing about the possibility that the seeds of self-awareness are somehow woven into the structure of the universe. Perhaps into a substance, he suggested. "Perceptronium," he recently called it, the most fundamental unit of sentient matter, which must somehow be part of the mathematical structures of existence. This is--um--interesting, in that it sounds a little too much like something out of a Marvel comic. 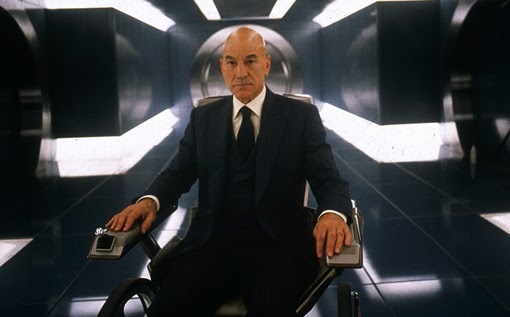 You know, like it's the stuff Professor X has more of in his bloodstream. "Sorry...Scott...I....just tried to...read...Galactus. My...cough...perceptronium reserves are...cough...dangerously depleted." This is just Tegmark spitballing, of course, taking a wild swing at the peculiar nature of sentience. And scientists are allowed to do that, now and again. When it comes to sentience, the self-awareness of being, it's particularly important to swing wildly and often, because empirical science really struggles with it. There's a deep paradox to our awareness, one that only deepens as we grow more and more engaged with the mechanics of our universe. On the one hand, empirical science--tested, experimentally provable science--has so far been completely incapable of either creating or finding the ground for sentience. The more we get into neural processes, the further we seem from grasping it. What makes a self cohere as a self? What gives us integrity as beings, and allows us to both recognize and differentiate ourselves? The more science has chased this, the more it has become lost in mechanics. Instead of finding the self, it has reduced awareness to unaware constituent processes. On the other, hand, sentience is the one irrefutable truth of the Enlightenment, the conceptual ground on which everything stands. Cogito ergo sum, as Descartes put it. You cannot deny the existence of self awareness, because to do so is internally contradictory. It is a truth that must exist, even in the statement of the question about knowledge and knowing. And so there's this yearning frustration of science itself, our art of knowing. There's a grasping after a state of being that is both fundamentally necessary and yet seemingly immune to the experimentation of scientific method. If that grasping starts seeming a little less like science and more like storytelling and theology?